Row 1, left to right: Alyssa Potter, Benjamin Marshall Permut (FCAS 2016), François Guérard, Diana Shen, CAS President Nancy Braithwaite, Hoi Cheng (Nicole) Fong, Rong Li, Samanvitha Vangala, Jenna Ann Kice (FCAS 2016). Row 2, left to right: Grace Buckley (FCAS by Mutual Recognition), Sneha Ramesh Soni, Jimmy Chun Meng Tan, Cheryl J. Vu, Guangjin Xiao, Christopher D. Hickey, Hana Jin. Row 3, left to right: Gary James Vadnais, Jean-François Vallée, Ravi Ranjan, Mark Mwiti Kalothi (FCAS 2016), Yevgeni Plaksienko. Row 1, left to right: Samantha Amy Ugol, Laura Bernadette Smith (FCAS 2016), Virginia Jones, Matthew S. Blumenthal, CAS President Nancy Braithwaite, Gina Marie Consorti, Buu M. Huynh, Nicholas Caramagno, Marion Grégoire-Duclos. 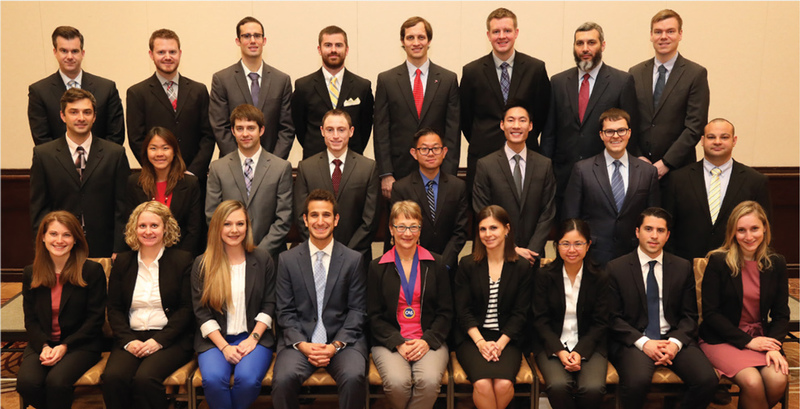 Row 2, left to right: Jeremiah N. Reinkoester (FCAS 2016), Jia Wen (Natalie) Tan, Derek Ryan Ziegler, William H. Alpert, Ming Keen Tran, Wesley Jenq, John Wanielista, Matthew C. Morris. Row 3, left to right: Daniel F. Gibson, Andrew Joseph Krieger, Matthew Michael Kershner, Steven Chamberlain (FCAS 2016), Cale Andrew Nelson, Alex B. Lubbers, Ali Ahmed Bukhari, Elvar Snorrason. 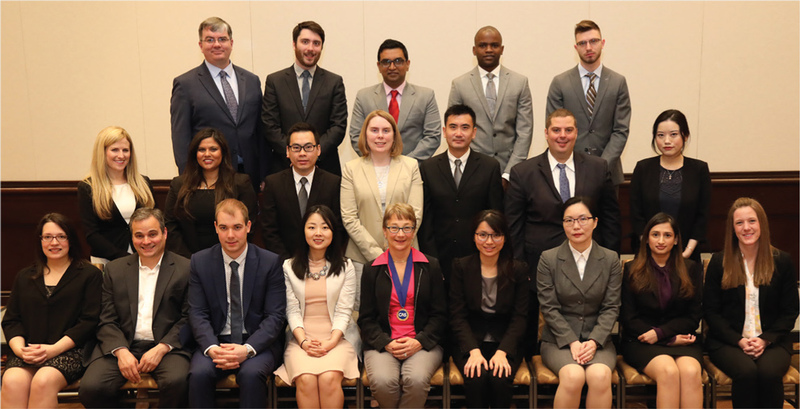 New Fellows not shown: William Chabot, Hao Ding, Christine L. Garvey, Joseph Homer Gravelle, Clifford Kin Lok Lau, Chun Hei Leung, Vincent Paradis, Leonid S. Plaksienko, Yunshan Qin, Keith J. Raymond, Raul J. Retian, Michael L. Smith, Chunlei Tan, Julie-Anne Thériault-Cauchon, Chi Hang Wong. 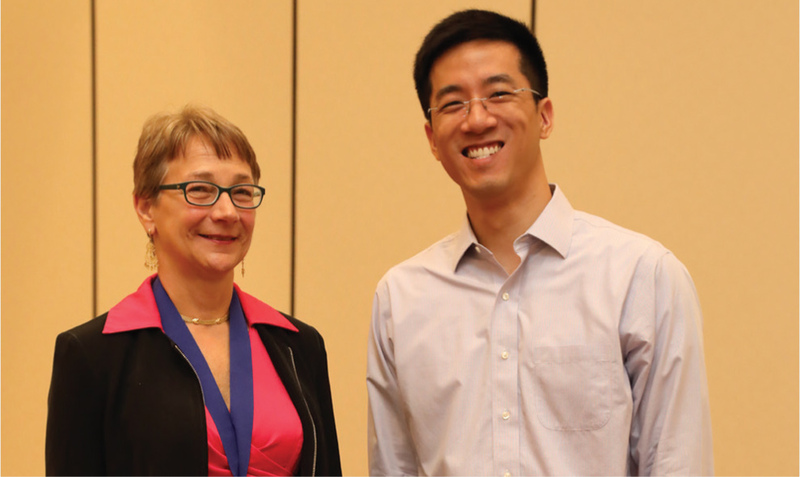 Frank Yeou-Gong Huang, FCAS, (right) gets his chance to have a picture taken with the CAS President, Nancy Braithwaite. Huang received his FCAS in November 2016 but was unable to attend the 2016 Annual Meeting.